We began our third 8 week long practice incentive of the year just two weeks ago! 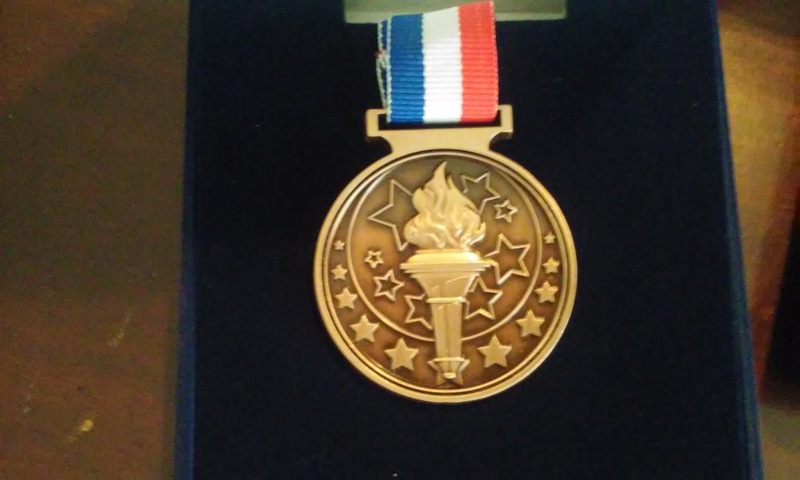 This one involves a race for a gold medal! To set up this challenge, I compiled a checklist of skills that my students need to know. Students are able to earn points as they complete each assignment from each category. 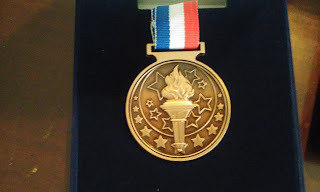 The gold medal winner must earn all 24 points by the end of the 8 weeks; the silver, 23; the bronze, 22; anyone who earns less than 22 points will receive a special certificate of achievement with the points that they have earned recorded on it. 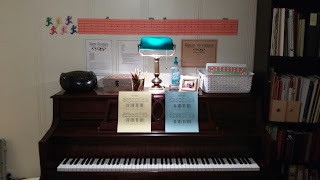 I posted a race track and mini racers above the piano to help students track their progress! I chose to assign the C, G, F, D major and minor pentascales; they are easy enough to allow the student to focus on keeping their shoulders, arms, and wrists relaxed and their fingers properly curved. I put together two separate worksheets, and printed them on yellow (for the major scales) and blue (for the minor scales) paper for my students to keep in their folders. 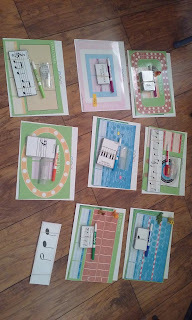 Both worksheets are available for free at my TpT store! 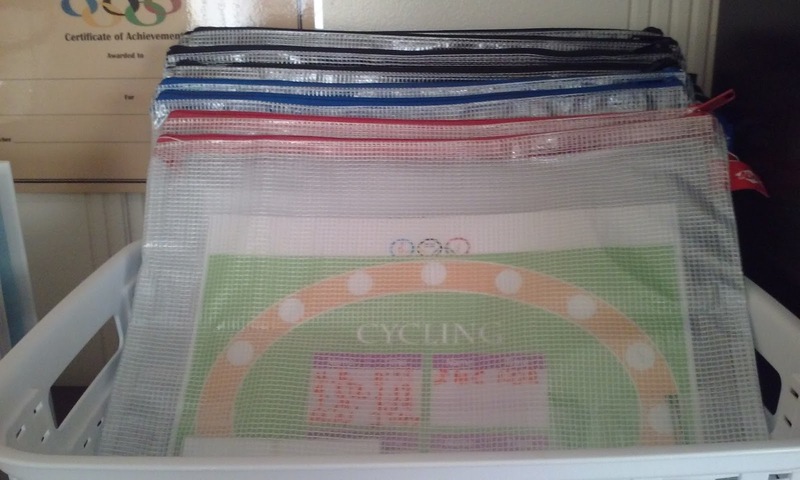 In addition to continued work through Theory Time, I found these fantastic Olympic-themed games at Greenside Music. 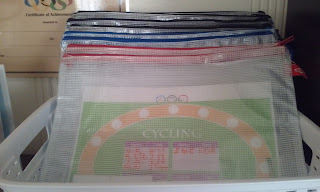 After I cut everything out and laminated the pieces and added any other game pieces necessary, I stored them in these 10"x13" clear mesh bags from Joann Fabric and Craft Stores. I love that everything we need to play the game is in one spot, and it only takes seconds to set it up to play. With only 30 minutes with each student, every second is important! Aurally identify major and minor pentascales, ascending and descending. Echo rhythmic pattern (clap/play) using quarter, half, and dotted-half notes. Transpose a piece at your lesson. Compose a new piece that you can play (write it down). Learn a piece on your own. 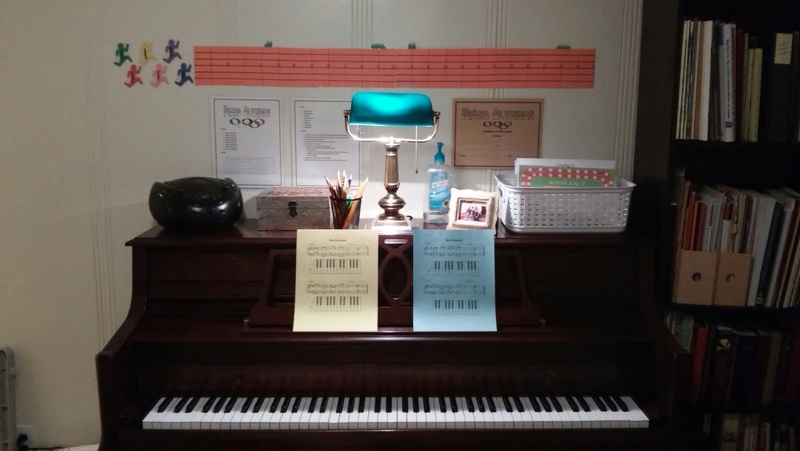 Sight read a piece for your teacher. 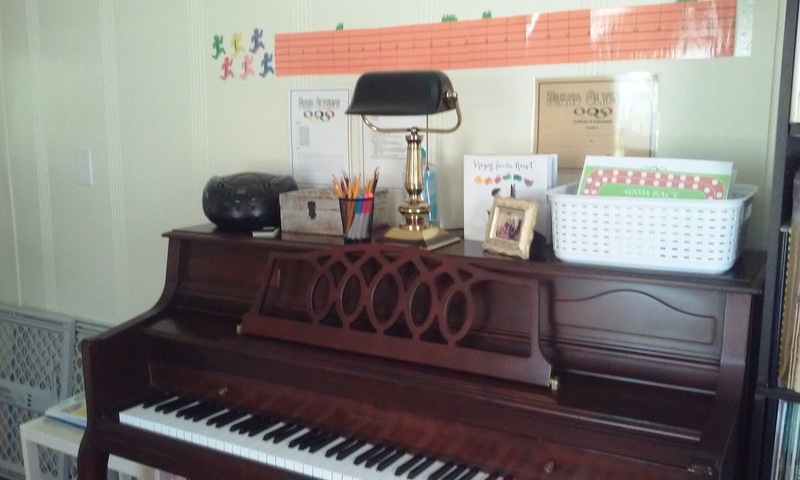 Bring a friend or family member to your lesson and teach them a piece! Pieces include anything assigned from each student's individual method books and extra sheet music. When they successfully complete whatever they were supposed to practice for the week, they earn a point.